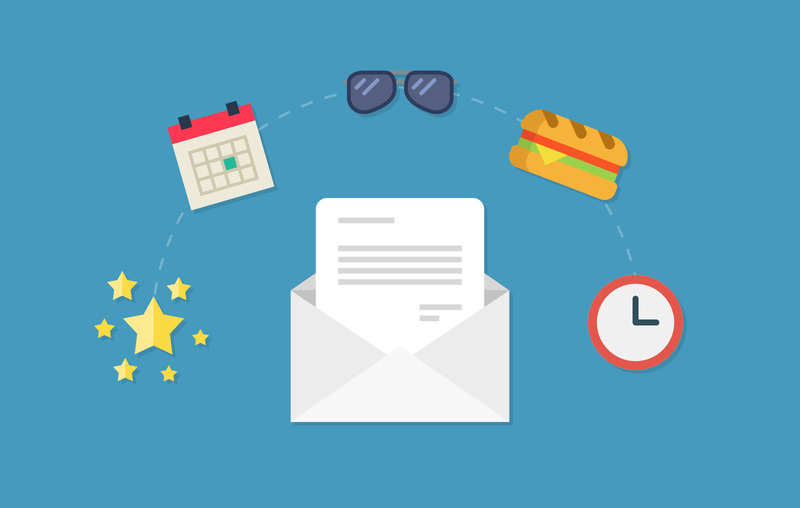 Is there a right time to send your newsletter or email marketing campaign? Evidence suggests there is – or at least there are wrong times to hit send. We’ve put together a few top tips to help you get the most from your campaigns. Stats suggest that between weekly and monthly is best. Any more and you risk appearing spammy, but any less and people may forget you exist. If there’s a dedicated person or team to create and send emails and you can muster it, every 2 weeks might be nice. If you have enough fresh and worthwhile content, of course! Between 11am and 3pm is considered the optimum time of day for email marketing. Either lunchtime or just after, depending on the type of email you’re sending. Some research suggests around 2pm. It’s when people are most likely to be wishing they were on holiday, instead of back at their desk. This will depend on who your target audience is though. We’d suggest keeping an eye on stats to see what the most popular time of day is for your readers. People are busy on Mondays – they’ve been inundated with emails over the weekend and are far less likely to see yours. Couple this with the fact that they’re on a post-weekend come-down so they’re not really in the mood to read about what your company has been up to or what you’re trying to sell them. And on Friday people aren’t paying much attention as it’s nearly the weekend. Wednesday or Thursday are usually the best days to send out an email campaign. If you don’t already have a professional-looking responsive design for your emails, it might be time to consider having one built. We can offer bespoke designs or build you a template you can use time and time again. We’d also recommend using a tool such as Campaign Monitor to send the emails out. Among other perks, this will mean that you can track who’s opening your email and what exactly they’re clicking. We can help you set this up and then it’s as simple as dropping your content in and clicking send. Try to send interesting and attractive content at the top of the email, which has a clear value for the reader. Consider what you’re offering them first, and why should they give your email more than a cursory glance. What will they gain from reading your content? Prioritise entertainment or knowledge, as this is what will engage your reader, then at the bottom you can include the details about what your company might do for them, and a call to action or two. If you’d like to talk to us about how else we can help your emails stand out and be read by the right people, please get in touch.